The real challenge of Brexit, however, goes much deeper than the technical problems involved, difficult as these are. The case for ‘leave’ goes to the heart of the UK’s sense of itself as a nation. It is worth re-visiting some of these broader-run and longer-run considerations, which seem to have been lost in the count-down to the deal-making deadline in March 2019. It is easy to forget that when the UK finally joined the then European Economic Community in 1973, Britain was the ‘sick man’ of Europe. Nearly fifty years of membership have, by and large, been beneficial for the United Kingdom. Access to a market of several hundreds of millions of consumers has proved a considerable commercial asset. The violent purgings of the Thatcher years encouraged a degree of labour market flexibility that enabled British firms to compete effectively in Europe and beyond. But the relatively straightforward customs union that Britain joined is not the EU of today. There are now 27 member states, many of them ex-Soviet bloc countries for whom the EU has proved something of a godsend. For other members, however, the outcomes have been more equivocal. A single market for goods, services, people and money is all very well when the countries concerned are economically on much the same level. When they are not, as the example of Greece has shown, the single currency can be lethal. But the ‘people’ part of the equation also starts to become problematic. The UK has become heavily dependent upon relatively cheap (and often highly skilled) labour from eastern Europe and beyond. Soft borders with non-EU countries and free travel within, have meant that the EU has long been a magnet for economic migrants and asylum-seekers from a wide range of countries, from Saharan and Sub-Saharan Africa to Afghanistan. The collapse of Syria has added more stress to a system that was never designed to cope with this type of challenge. London and the south-east have prospered from all this activity. But as the referendum showed, the rest of the UK, and particular groups in every area, have not fared so well. As any visitor to the UK who travels outside of London sees, whatever benefits have accrued from EU membership have been far from evenly distributed. The hundreds of sad towns and cities, the sub-standard housing, the lack of jobs that pay enough to live on, have all taken their toll. It’s not surprising that millions wanted to leave and voted accordingly. But in the ill-judged haste of the Brexit referendum, the hard work of preparing for (and arguing for) an exit-deal was not undertaken. The realities are fairly plain, and (as the Europeans have repeatedly pointed out) do not admit of pain-free compromise. Not being a part of the single market for people also means not being a part of the single market for goods and services. Access can be maintained by standardizing tariffs and regulations, but for goods at least, this necessarily means customs arrangements at the UK’s borders, including between Northern Ireland and the Republic. Given time and resources, firms could have made the necessary preparations. But having triggered the exit provisions, Britain placed itself in a situation where it has been trying to re-engineer the plane while it is still flying. No doubt they will muddle through, as they always have. For the members of the EU, however, it must be extremely vexing to have to deal with a country that has not fully worked-out its bargaining position. There also seems to be a degree of misapprehension in the Leave camp as to Britain’s bargaining power. As in any divorce, the party that wants out has to take some hits. It is not as if nothing is being done about the transition itself. 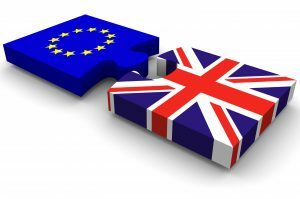 Thousands of civil servants are beavering away at crafting forms of legislation that will repatriate the enormous raft of regulation that came with being part of the EU. 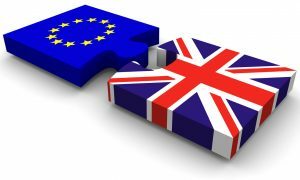 The UK government recently released advice to affected firms and organisations if there were to be ‘no deal’ by March 2019. But the questions of strategy – what it is that Britain is moving towards – seem to be going begging. It is this level of policy development that is missing. A number of models are on offer. Britain can resemble either Canada, Norway, or Switzerland, each of which has a somewhat different relationship with the EU. Canada (almost) has a free trade agreement; Norway is a member of the European Free Trade Area; Switzerland, via many separate bilateral arrangements, manages to be ‘in’ for many purposes and ‘out’ for others. The so-called Chequers agreement which Mrs May hammered out with her Cabinet in July has, predictably, satisfied no one. It is too ‘soft’ for the hardliners, but (as the EU has made very clear) amounts to an unacceptable level of cherry-picking when it comes to the exit terms. A hard landing seems more and more likely. The biggest challenge, though, will undoubtedly land at the feet of the British people. Can they rediscover that spirit of entrepreneurship that created the first industrial era? Will regional towns and cities, not to mention the Scots and Welsh parliaments, start to re-engage with Westminster? With cheap EU (and non-EU) labour no longer available, wage rates may well have to rise. No bad thing. The hourly rates for young workers in the UK are truly appalling. Can London start to play a more productive role in the life of the country as a whole, or will the financial interests of the city continue to call the tune? Can the finance be found for effective rejuvenation? Leaving the EU means paying more attention the rest of the world. Mrs May has been visiting Africa to drum up business, and other trips are surely on the agenda. She may even make it to Australia and New Zealand. But the British will have to find something in themselves as well. They will have to resume the conversation, long lulled into somnolence by their membership of the EU, about their training systems, their industries, what they are good at, and how they can turn those advantages into additional activity. Can the cheaper housing in the regions attract new residents and businesses? Is there scope for a degree of import replacement? To answer these questions, the British will need to re-define who they are as a nation, which in political economy terms, may well mean tilting the policy balance away from financial services based in London and towards manufacturing and the regions. After so many years as part of Europe, they are long out of practice, at the national level, at grappling with these issues. Australians will wish them well as they struggle on.